Steven Frye, Professor of English (along with Eric Carl Link of the University of Memphis), has published a composition reader with Pearson Education. 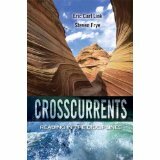 The book is entitled Crosscurrents: Reading in the Disciplines. It includes chapters for writing instruction and argumentation as well as a collection of annotated essays from well-known authors in various academic disciplines, including literature and the arts, the social sciences, education, science and genetics, and popular culture. This entry was posted in 2011/2012, Arts & Humanities, English, Publications/Peer Reviewed and tagged Available for media interview on this topic, Available to speak to community groups on this topic, Frye-Steven. Bookmark the permalink.